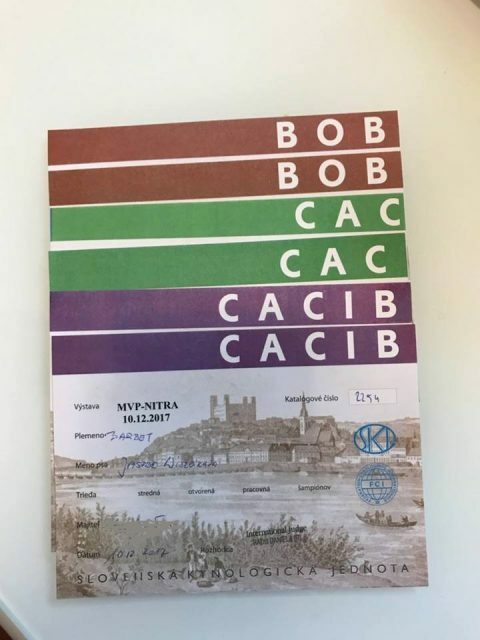 JORDAN Wierciłapa was presented at the international show in Slovakia and received excellent, CAC CACIB and BOB. We are so proud of him, kudos to the owners <3 Fingers crossed for more exhibitions! On last Sunday JOLO Wierciłapa received an excellent grade, CWC and BOB at the dog show in Nowy Dwor Mazowiecki. Congratulations,. JOLO also know as Teosinek Malutki is almost a stud:) … probably the next post will be after our return from the Netherlands.